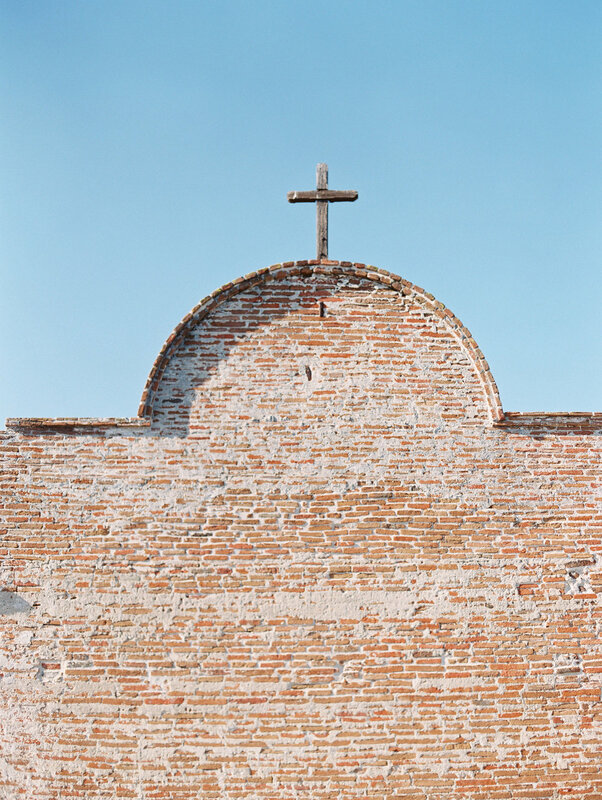 This gorgeous mission elopement was perfectly captured on film showing the timelessness and everlasting love between Milena and Jake. 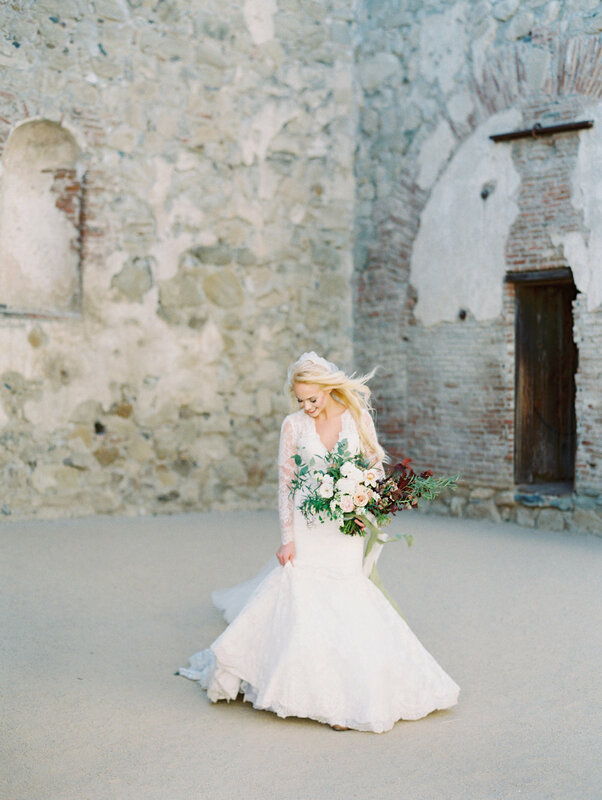 Set at the Mission San Juan Capistrano, there is so much history and beautiful architecture that really sets the tone of this dreamy elopement. 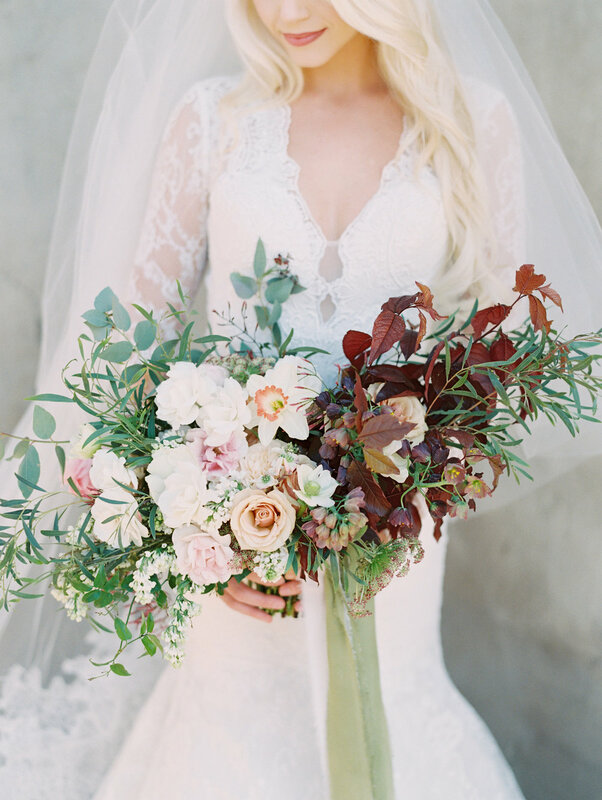 Detailed with some beautiful, moody florals that brings out the warm tones of the Southern California venue and the long, custom-made veil, this shoot is seriously a stunner. 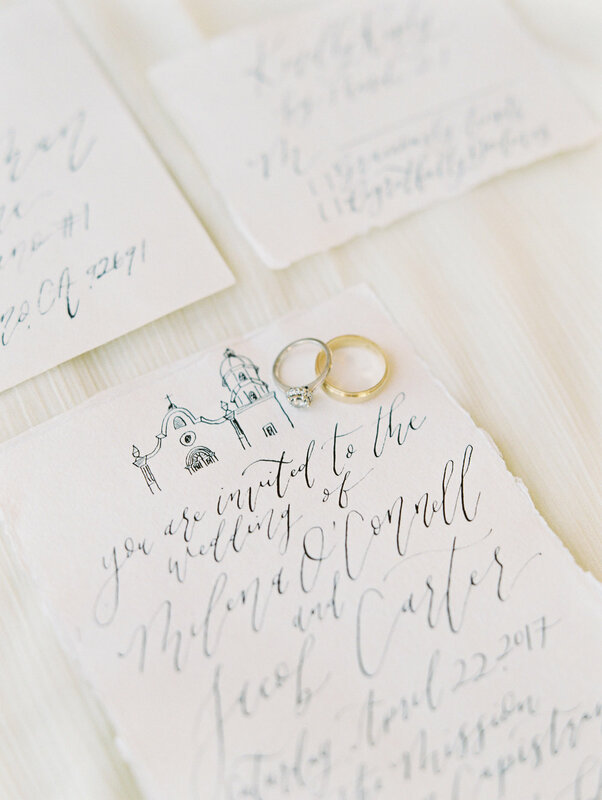 I created a delicate, hand-written calligraphy suite on handmade paper by Silk and Willow to mimic the ethereal and indigenous vibe of the venue. The hand-drawn illustration on the save the date and invitation also help tie in the historical significance of the mission to their guests. 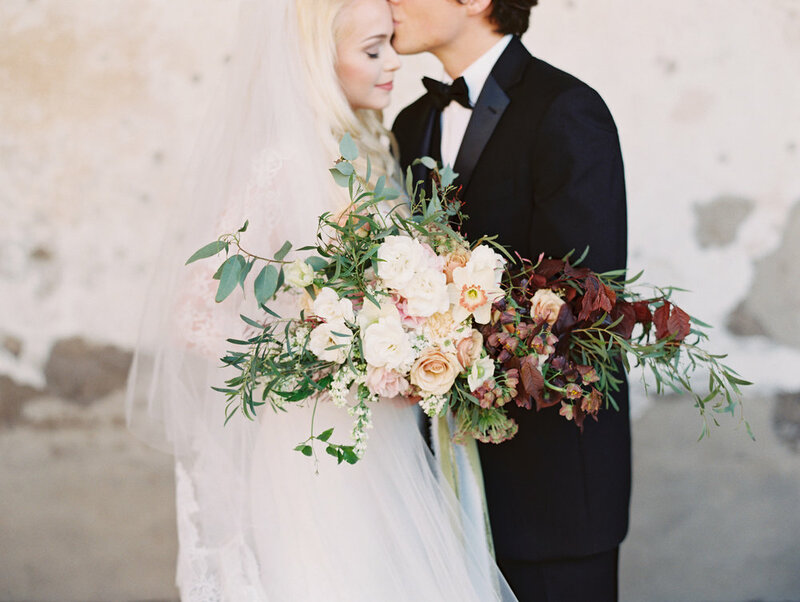 See more of this romantic shoot up on Wedding Sparrow here!